The species is found in Europe, over the Caucasus up to Mongolia. It is widespread and common across southern France. In Europe it occurs from northern Spain, Italy and Greece to Poland, the Balkans and Turkey. In Armenia the subspecies C. d. calida (Jachontov, 1911) is found inhabiting several patches in woodlands of Northern and South-eastern Armenia at the elevations from 800 to 1200 m a.s.l. In Armenia the species was first recorded in 2008, and some aspects of its biology still have to be clarified. Thus its host plant in Armenia is still not clarified, although in other parts of its distribution, the Violet Fritillary uses Viola spp, Rubus idaeus, and Prunella vulgaris as the host plant. It appears that the species gives two generations per year having butterflies on wing from mid May till early August. The species is uncommon to rarte within typical habitat. 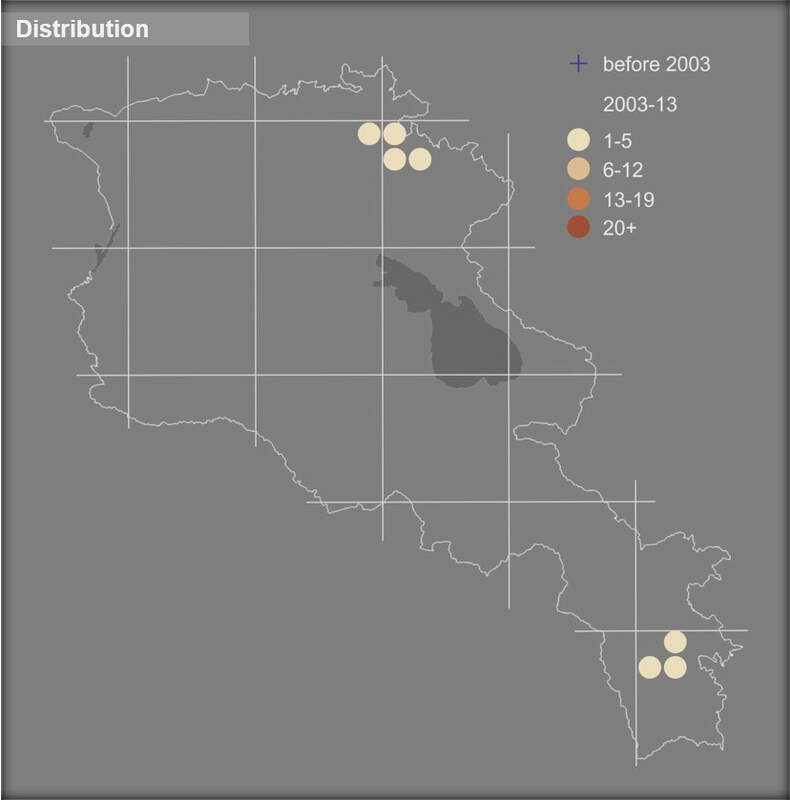 Since it was first found in Armenia in 2008 the data is still insufficient for computation of the population trend and the threats are not yet studied. The species is not included in the Global and Armenian Red Lists, as well as in CITES and Bern Conventions, but is assessed for European Red Book as Least Concern. The National conservation status is suggested as Data Deficient, and it is suggested to study its population trend, biological peculiarities, and threats before deciding the possible conservation measures. At current however, it should be stated that only part of its population in South-eastern Armenia is covered by Zangezur Biosphere Complex.